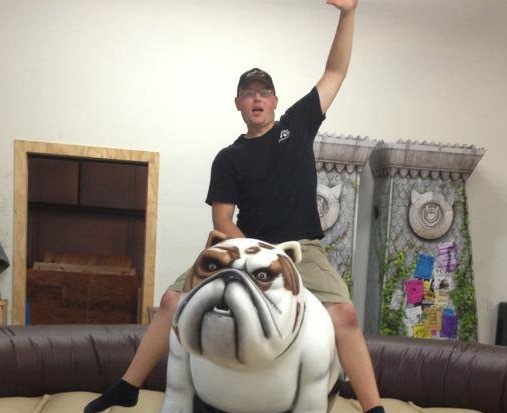 This ride is great for any event looking for a different type of attraction, especially schools with a bulldog mascot! 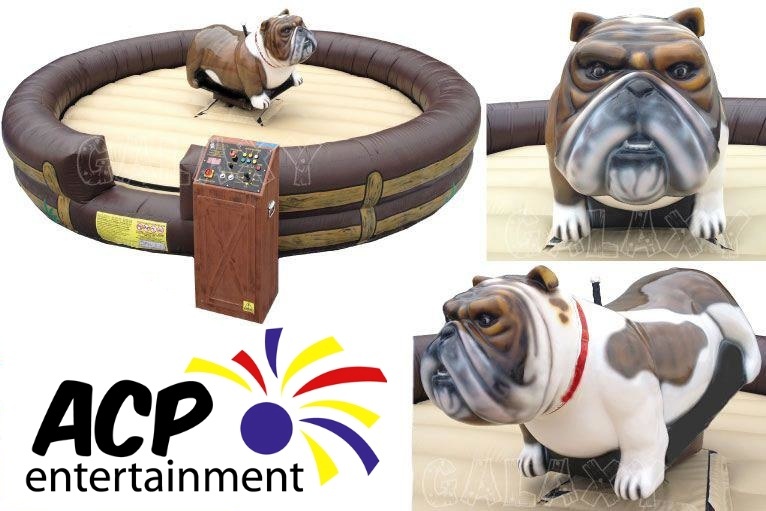 This mechanical bulldog bucks and spins just like a mechanical bull and is great for all ages! 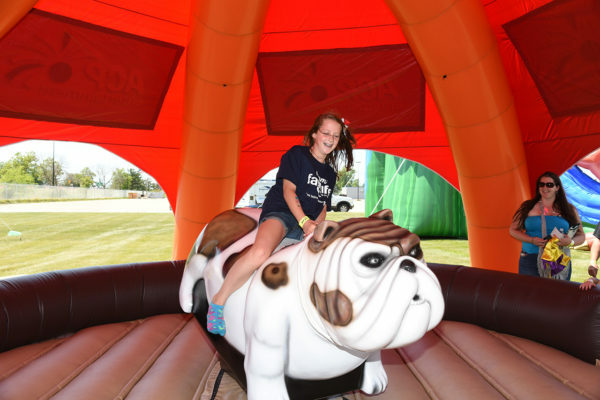 The speed of the ride is controlled by our operators so any age can ride and have a blast! 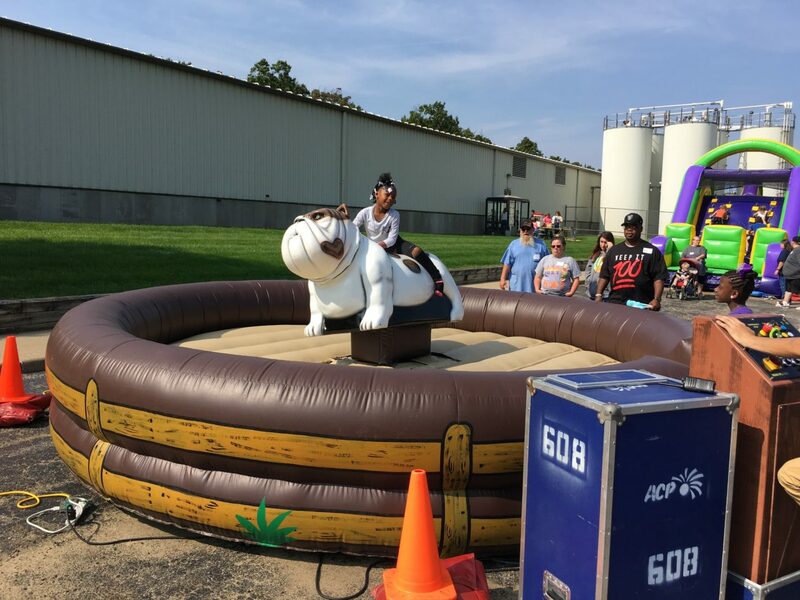 Rent our mechanical bulldog ride for your event in Grand Rapids or surrounding Michigan cities.